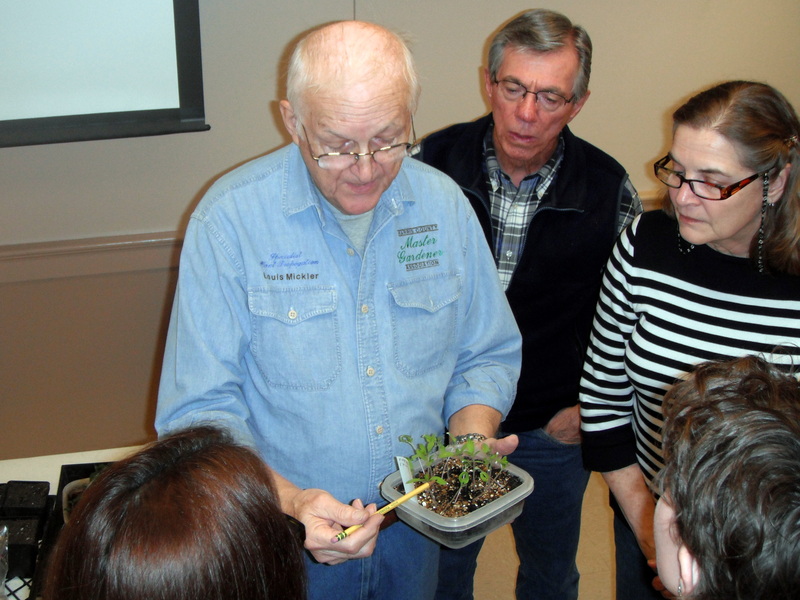 We had a great class tonight taught by Texas Master Gardener Propagation Specialist Louis Mickler from the Harris County Master Gardeners Speakers Bureau. Louis gave a hands-on demonstration of starting vegetables from seeds and “bumping up” the seedlings into their own containers. We had 23 people attend the class and other half-dozen had expressed an interest. 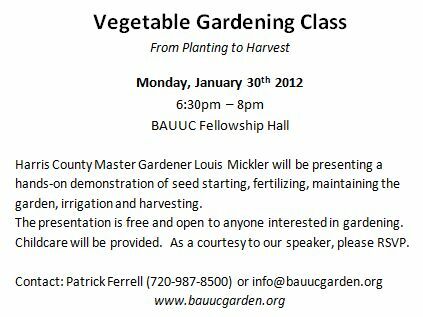 With this much interest, I think we can present additional gardening topics and workshops in the future. On Saturday, January 21st we had at least 21 adults and 5 children participate in our volunteer workday. It was great to have such a turn-out for our project. As always, we seemed to have fun doing good work. One volunteer said that the banter was one of the reasons to show up for garden workdays – growing the beloved community indeed! We had three goals: sort seeds, construct a sign, and attempt to hyro-bore under the driveway on the cheap. I was going to open this blog post with a cheesy quote about overcoming adversity and conquering obstacles, but my heart just isn’t in it. We’ve run into some more “hidden opportunities” due to the pipeline easements. I’ll be coming up with another layout for the garden beds and put it out for review and comment in the next couple of days. Our volunteer workdays will take place as scheduled. 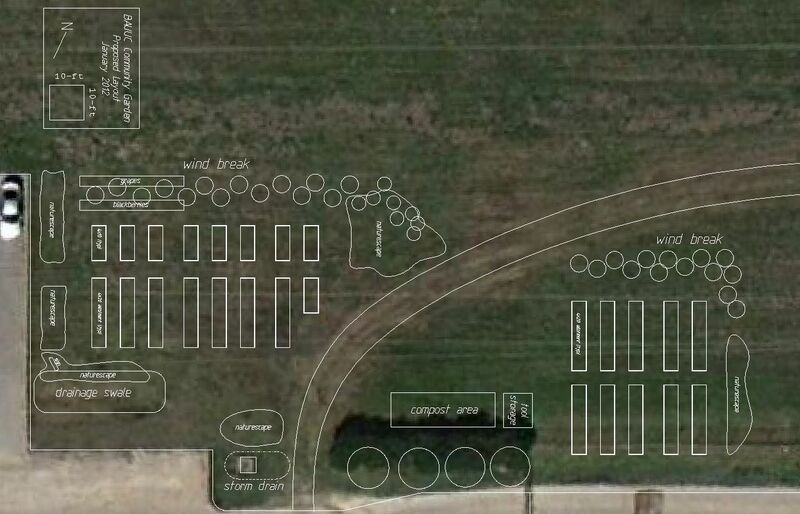 UPDATE: A new layout drawing can be found on the Resources page: BAUUC Community Garden Layout Drawing.